Here are some fresh new Game Boy world records! Bubble Ghost has been improved since last time and we got two new games that are just begging to get more runners with Fist of the North Star and David Crane's The Rescue of Princess Blobette! Make sure to follow the amazing runners and give the games a try yourself! 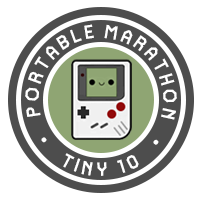 Having trouble keeping up with the new world records for Game Boy speedrunning? We have you covered! Today we bring you some news in a few different game categories: the shmup TaleSpin, the "puzzle" game Bubble Ghost and the RPG Ultima: Runes of Virtue. Check out these amazing runs and give the runners a follow, won't you? Kirby's Dream Land was the first game on Game Boy I ever bought myself. I was amazed by the graphical style, the cheerful melodies and the simple, yet extraordinary gameplay mechanics. Not only was the Kirby franchise a big stepping stone for all my future gaming explorations, it also inspired me in more artistic ways. When Kirby's Dream Land 2 appeared on the shelves, it was no giving that I would buy it immediately. Years later, when I decided to make a Let's Play for YouTube, KDL2 was an obvious choice as a starting point. the crazy idiots who face their darkest nightmares by trying to beat every single game that ever came out on the Game Boy handheld system. GBrunners.com is currently still being developed further in the background. But I decided to put it online as far as I come so far anyways. This is your chance to help me get everything right. Look around the site and tell me what you think about it so far. Where can improvements be added, where doesn't the site respond as it needs to, what you would like to see added (in the future). Join our Discord server and get into direct contact with me by posting your reviews in the #website channel.